Pack your racquet, grab the kids (or not) and get away to these fabulous tennis resorts. A private, gated, master-planned community, Big Canoe is designed to achieve a harmonious integration of the natural beauty of the land with those elements most desired in a resort and residential community. Just one hour north of Atlanta, The Racquet Club at Big Canoe is set against a backdrop of the beautiful north Georgia mountains. With 10 tennis courts (eight outdoor and two indoor) and four pickleball courts, Big Canoe won the 2017 Bliss Award for Best Tennis Community and is the perfect location for your tennis getaway. Take part in one of the many clinic offerings or let the professional staff, led by Matt Motil, USPTA, set up a custom schedule for your group or team. 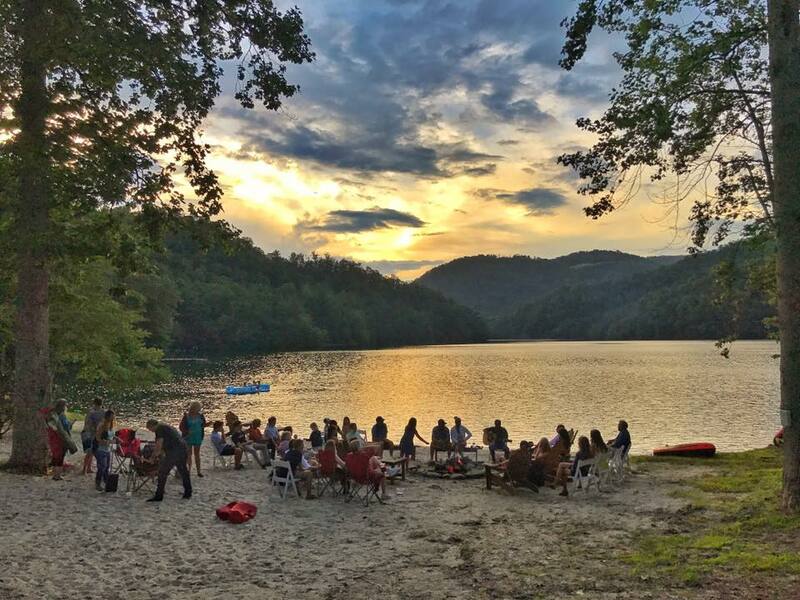 Off-the-Court Offerings: Relax on the lake with boat rentals and fishing or explore Big Canoe’s 20 miles of hiking trails. The swim club and 27-hole golf club also provide afternoons of activity. With such wonderful amenities, it is no wonder Big Canoe was honored by the Greater Atlanta Home Builders Association as the 2012 Best Amenities Package for a large community. With 15 world-class tennis courts in hard and HydroGrid clay, Sandestin Golf & Beach Resort is ideal for your next tennis vacation. Surround yourself with lush greenery, refreshing ocean air and idyllic temperatures for a set at this Florida tennis resort. It’s a tennis-lover’s dream come true. As a premier tennis resort, it has been voted No. 1 pro shop and No. 13 in the Top 100 tennis resorts in the country, both by Tennis Resorts Online, in addition to Tennis magazine selecting it as one of the Top 50 U.S. tennis resorts and No. 3 in both the “Best Overall Children’s Programs” and “Best Junior Tennis Programs” categories. The state-of-the-art tennis center includes a beautiful clubhouse, private tennis courts, women’s and children’s tennis offerings and a convenient shop with the latest styles in tennis apparel. Best Package Pick: Experience Sandestin’s most popular Tennis Dream Team Package, which includes group instruction, match play/round robins, accommodations, unlimited drinks and court time and prizes. 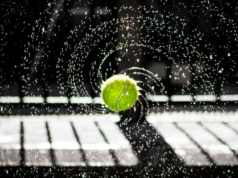 Animated and knowledgeable tennis pros will combine a unique tennis experience with a memorable Florida tennis vacation. You can also take advantage of their Incentive Program, which provides complimentary tennis for the coordinator of a group of 12 or more. Bring 20 players and the tennis and room portion of your stay is free; and make sure to inquire early, as many weekends throughout the year will sell out. Off-the-Court Offerings: Enjoy Sandestin’s nearly 8 miles of beach and bay, championship golf courses, 113-slip marina with dozens of water sports, dining options, hiking and bicycle paths, and the new Village of Baytowne Wharf, a 28-acre waterfront town center with unique shops, eateries, nightclubs and year-round events. Situated on 52 private acres, this award-winning resort is bordered by the beautiful beaches of the Gulf of Mexico and a nature preserve. 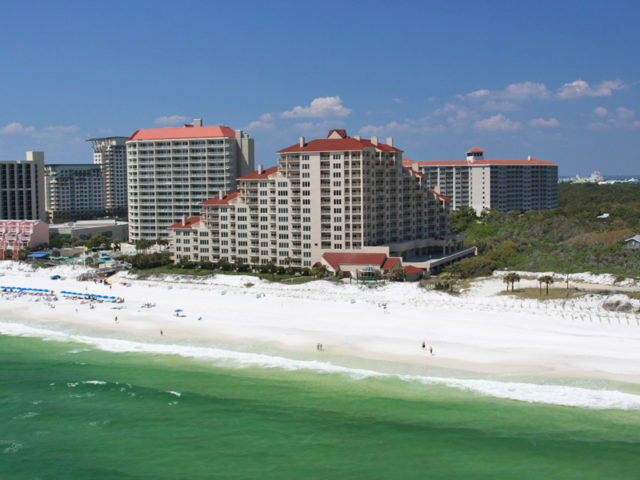 The tranquil beach and racquet resort offers the peace of a location off the beaten path, while still having the conveniences of city attractions just minutes away. Tennis Resorts Online consistently ranks TOPS’L in the top 25, ranked No. 13 in 2017, of the world’s “Top 100 Tennis Resorts & Camps” and a “Best Value for the Dollar.” TOPS’L was also awarded “Tennis Facility Grand Champion” for Perfect in South Walton Awards in 2016, “Best Tennis Facility” for VIP Destin Magazine in 2015, “Best Tennis Club” for Finest of the Emerald Coast in 2015, and “Best Tennis Facility” for Best of the Emerald Coast in 2017. With 12 Rubico clay tennis courts, a top-notch pro shop, certified instructors and a staff with a passion for the game, it’s easy to understand why TOPS’L is a top tennis resort. Best Package Pick: TOPS’L offers a variety of team packages throughout the year for all tennis groups. Ask about our full customizable Ladies Retreats that include instruction, daily afternoon match play, round robins, and a TOPS’L tennis gift. Similar group packages are available throughout the year. Off-the-Court Offerings: Without ever getting in the car, guests here can choose from beach fun or outdoor recreation exploring the area’s natural beauty. Featuring a myriad of accommodations, from beach-front luxury condominiums to tennis villas in a garden setting, this full-service resort offers on-site fine and casual dining with tennis or beach views and refreshments at the beachside and clubside tiki bars. The tennis center has certified USPTA elite professionals and programs, an exercise facility, a racquetball court, an indoor-outdoor pool and a sauna with steam room and massage therapy. 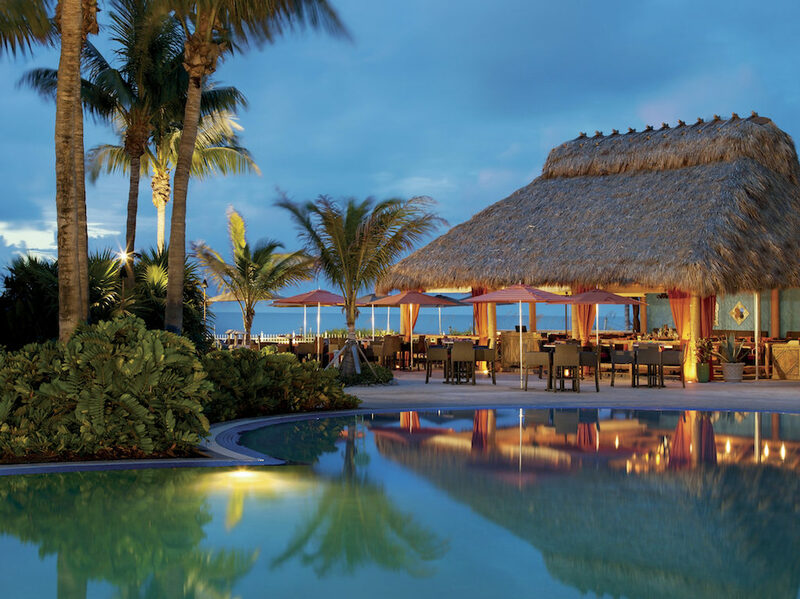 The Ritz-Carlton Key Biscayne, Miami is just minutes from the city’s cosmopolitan center, yet feels like a secluded island getaway with its lush tropical gardens, infinity ocean views and the only South Florida beach on Dr. Beach’s Top Ten Beaches in the U.S. list. Connected to Miami by a picturesque causeway, the luxury resort is a renowned spa destination, has four globally-inspired dining venues, which take guests on culinary journeys to Tuscany, Coastal Mexico and St. Tropez, and has the largest tennis center of any Ritz-Carlton in the world. For additional information or reservations, call The Ritz-Carlton toll free at (800) 241-3333, the resort directly at (305) 365-4500, a travel professional or visit The Ritz‑Carlton Web site at: www.ritzcarlton.com. Best Package Pick: Stay & Play package is a tennis retreat where guests can perfect their game at the largest tennis facility of any Ritz-Carlton in the world. This package includes: overnight accommodations available for a superior room, partial ocean view room and partial ocean view suite, unlimited court time for one, a complimentary sleeve of balls, complimentary non-alcoholic beverages during gameplay, complimentary game arranging services and a tennis concierge. Off-the-Court Offerings: Whether traveling as a family, couple or with your colleagues for an corporate event, The Ritz-Carlton Key Biscayne, Miami will transport you to a place of renewed connection. With the immersive and adventurous Ritz Kids program, finely crafted luxury experiences for adults, and plenty of activities to enjoy together, every vacations become unforgettable. Featuring one of the largest tennis facilities of any Ritz-Carlton worldwide, the Cliff Drysdale Tennis Center features one hard court and ten soft clay Hydrocourts, and several clinics and lessons for tennis enthusiasts ages three to 103. Additionally the property has a 72 course Crandon Golf Course, former home of the annual Royal Caribbean Classic, a senior PGA tournament, as well as a 25,000 sq. ft. room spa with twenty-one treatment rooms, that each evoke classic West Indies glamour. Along a crystal clear lake amid the Blue Ridge Mountains lies a place of unforgettable vistas and uncompromised beauty. 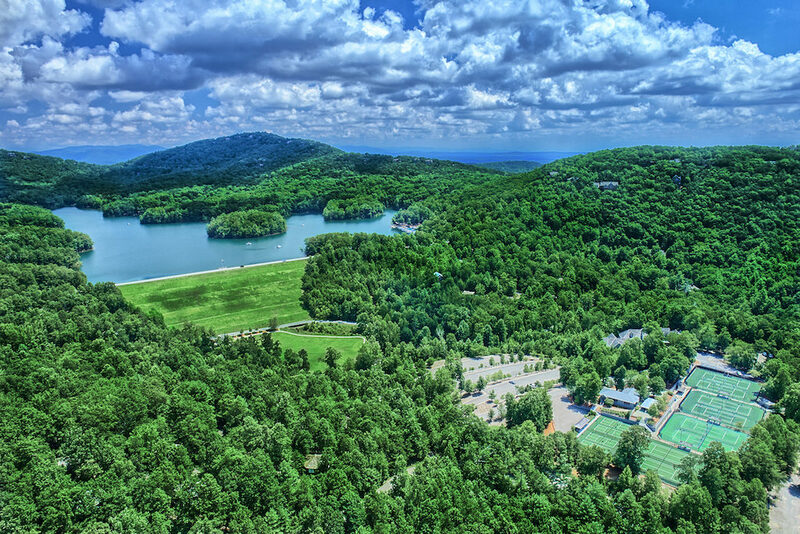 Visitors will experience the pure joys of North Carolina lake and mountain living, with all of the comfort and amenities of a resort getaway. Access to hiking, waterfalls, tennis, golf, lake activities, plus gourmet food prepared by an executive chef and the distinctly refined comfort of luxurious mountain lodging combine to create a relaxing resort vacation to remember. Best Package Pick: Learn from one of the BEST Doubles players ever to play the game! Daniel Nestor, 12 time Grand Slam champion, Olympic Gold Medalist, and legendary Doubles Specialist has brought his championship methods to you through MatchPoint Resorts! 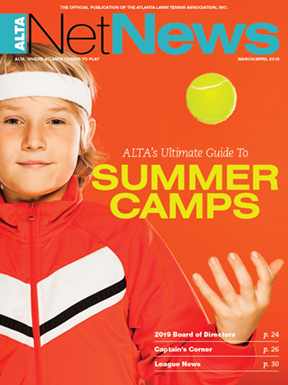 This three-day, two-night ALTA Team Tennis Getaway Special includes learning the Nestor Core 6 Doubles Fundamentals, with more than nine hours of on-court teaching, training, and development along with the Nestor Targeting System, to improve your court sense and a 4:1 player-to-coach ratio on court, plus video analysis from world-class professionals. Guests will experience six gourmet meals at the Lake Club & Mountain Top Summit, and beautiful private mountain lodge or resort condo accommodations. You will be able to relax and unwind with a sunset cruise with live music, food and drinks on stunning Bear Lake. During the closing awards ceremony, all players will receive a special team gift from Daniel Nestor himself. Off-the-Court Offerings: Guests have full resort access, including pools, waterfall hikes, wildlife, golf, a state of the art fitness center and full Lake Club and bar access and a free round of golf on a top-rated, Jack Nicklaus designed course. Pamper yourself after a day of tennis with spa and massage services, upon request. Guests can also take a virtual tour of the multimillion-dollar sports and entertainment complex opening in 2018. As an ALTA member, enjoy 25% off your entire trip when you book by March 31! 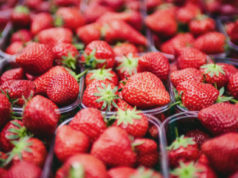 From its cobblestone streets and historic plantations to five-star dining and shopping districts, Charleston, South Carolina, is home to a wide variety of activities and events, including the largest women-only tennis tournament in North America, the Volvo Car Open. Travel to this coastal oasis March 31 – April 8 to experience the Volvo Car Open on beautiful Daniel Island. Every spring, the tournament welcomes close to 90,000 spectators and more than 70 of the best female athletes. The nine-day event is action-packed with matchups, featuring a strong 2018 player field, including current U.S. Open champion Sloane Stephens, two-time Wimbledon champion Petra Kvitova, U.S. Open finalist Madison Keys and current Volvo Car Open champion Daria Kasatkina plus many more of the WTA’s top-ranked players. 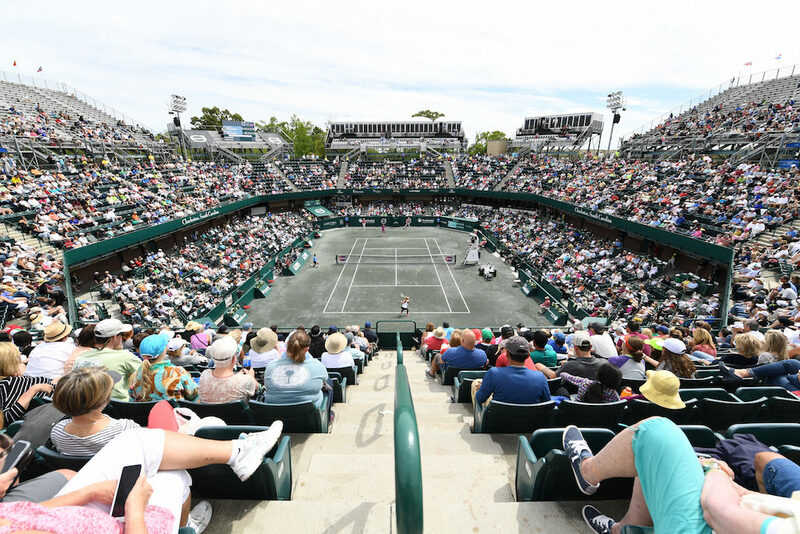 Back again this year, the tournament will also host the PowerShares Series on Saturday, April 7, featuring tennis legends, Andy Roddick, Tommy Haas, Mark Philippoussis and more, in a highly anticipated tournament circuit stop. Best Package Pick: Enjoy more tennis at a greater value with the Volvo Car Open Weeklong Package. You’ll have access to all nine days of the tournament, including day and night sessions and priority seating in the first three rows on the terrace level. As a package holder, you are automatically entered into the Ace Club, providing benefits like player autograph sessions, tournament poster, private bag store and more. You’ll also receive complimentary access into the exclusive Ace Lounge, a VIP lounge situated in close proximity to the stadium. The popular hospitality tent will feature first-class accommodations, including air-conditioning, televisions, live entertainment, outdoor patio and elevated food and beverage options. Off-the-Court Offerings: In between matches, the tournament offers spectators a variety of activities for all ages. From happy hours with live music to theme nights and food trucks, the Volvo Car Open’s entertainment goes beyond a great forehand. Palmetto Dunes Oceanfront Resort is is the ultimate tennis vacation destination for anyone who wants to improve his or her court skills. 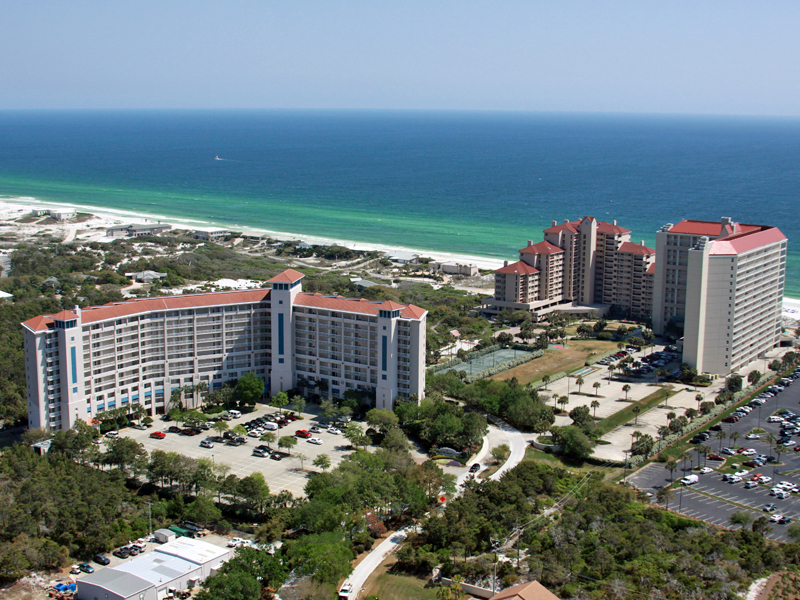 Consistently ranked among “The 50 Greatest U.S. Tennis Resorts” by Tennis Magazine since 1975, the 2,000-acre resort destination is bounded by 3 miles of Atlantic Ocean beach on one side and a sheltered Intracoastal Waterway marina on the other. Named to the top 25 World’s Best Family Getaways by Travel + Leisure, the resort features three world-class golf courses, an award-winning tennis center, an 11-mile inland salt-water lagoon system for kayaking and fishing, and Hilton Head Outfitters for bike rentals, canoes, kayaks, fishing and much more. The Mediterranean-style Shelter Cove Harbour, Hilton Head Island’s largest deep-water marina, located right across from Palmetto Dunes, features waterfront shopping and dining and a wide variety of charters, including nature cruises, dolphin tours, sport crabbing and fishing. The Palmetto Dunes Tennis Center offers 26 clay courts, five of which are junior/POP Tennis specific, and eight pickleball courts. The center provides year-round instruction, with 36 adult clinics offered weekly. Enjoy daily round-robin tournaments and seasonal activities, including a free weekly tennis exhibition and demo days with the pros. 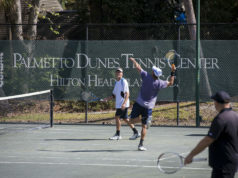 Growing in popularity at Palmetto Dunes is also pickleball. You can take a pickleball clinic, book a pickleball vacation or test your skills in a round robin on one of eight dedicated courts. Best Package Pick: The Tennis Stay & Play Package (choose from Beginner/Intermediate or Intermediate/Advanced) includes four days and three nights in a two-bedroom resort view villa, daily tennis and pickleball court time, two tennis clinics per person, three-day bike rentals and priority access to activities, plus resort dining and merchandise discounts. Other tennis-focused deals include a weeklong stay, a team getaway package and pickleball packages for both individuals and families. Off-the-Court Offerings: Three championship golf courses, 3 miles of pristine beaches, nearly 5 miles of bike paths in the resort and 50 miles across the island, an 11-mile inland saltwater lagoon for kayaking, canoeing and fishing, water sports, a marina, nature cruises, dolphin cruises, waterfront dining, shopping and more. Sea Island has it all: Forbes Five-Star accommodations and dining; traditional Southern hospitality and dazzling contemporary luxury; sparkling Atlantic sand; salt marshes teeming with wildlife; and an impressive range of opportunities for recreation and relaxation, including world-class tennis facilities. The Cloister Tennis Center has eight Har-Tru courts (four lighted), including a stadium court and another eight courts at Retreat Tennis Center. Choose from a full range of clinics, lessons and round robins designed to help fine-tune your game. Individualized instruction is available year-round, with programs that can be customized to your skill level. 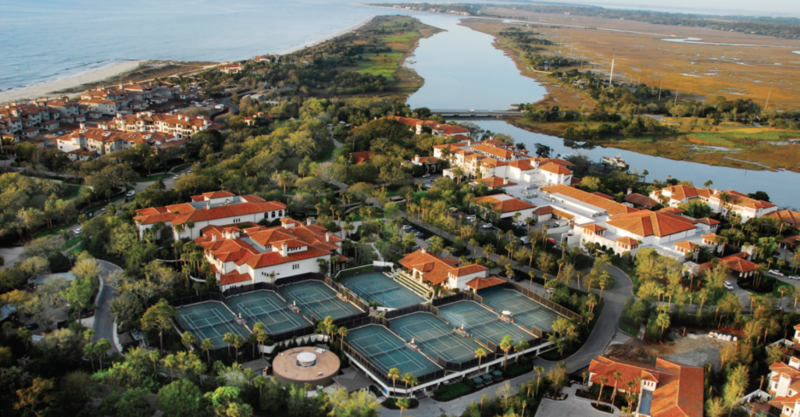 Best Package Pick: The Classic Tennis Package includes luxury accommodations at The Cloister, a daily one-hour clinic or drill session, a one-hour private lesson with a Sea Island tennis professional (for two people, the lesson will be shared) and two hours of court time daily. Off-the-Court Offerings: Honored with five stars by Forbes Travel Guide, the 65,000-square-foot spa and fitness center includes a garden labyrinth and atrium, shady trees, a heated indoor pool, 23 well-appointed treatment rooms and expert therapists who are skilled at customizing treatments. The menu is resplendent with results-oriented therapies and relaxing treatments, including sports massage. In honor of our 90th anniversary in 2018, guests staying for two nights in January or February may enjoy 90% off their third night. In addition, these complimentary offerings and specials are available in January and February, including 10% off tennis clinics and classes.